THRIVE AS A WEDDING PHOTOGRAPHERIN 14 DAYS OR LESS... GARANTEED! Are you tired of dreaming of a job you actually LOVE? If you have a passion for photography and for capturing memorable photos of the happiest moment in two people's lives, their wedding day, then there is nothing stopping YOU from making a good living as a wedding photographer. All the Talent in the World Amounts to $0.00 In Revenue If No One Hires You! WHAT ABOUT TALENT and EXPERIENCE? This online program contains everything you'll need to setup your Wedding Photography business in 14 days or less. Did you know successful photographers are first and foremost good at running their business? It is, after all a business you will be running when you're doing this for a living, period. Sure, for most people, wedding photography starts out as a hobby, but when "paying" gigs kick in, trust me, it becomes a business you too will find very endearing, to say the least! When it comes to wedding photography as a business, Knowledge is King. The wedding photography industry used to be controlled by wealthy individuals who could afford expensive film cameras and photo developing equipment. Thanks to the digital revolution, and professional grade photo labs popping up in department stores all over the place, old school photographers have been forced to share the wealth. Thanks for stopping by to find out more about my proprietary wedding photography business course. 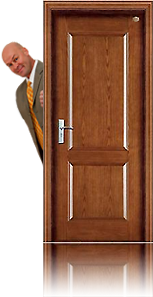 You're going to be so glad you found this web site! The truth about wedding photography in this new digital era is this: Anyone with an ounce of skill, proper training and a DSLR camera can be a successful wedding photographer. Simple. I'm living proof, and I see it happen every day in the people I train. I'm sure you've seen other photographers' portfolios online, but have you ONLY looked at the best photographers in the business, or also the bottom of the barrel? If all you have seen online are the web sites and portfolios of the best wedding photographers, and not seen the work of average photographers, and their mediocre web sites, then you've not done yourself a favor! I bet you can't even imagine how even awful photographers make a decent living when they apply simple, effective methods to book weddings. That's right! Even the worst wedding photographers work every Saturday, sometimes earning over $10,000.00 per Wedding!!! How is this Possible? Most of them are so Old, they can't even bend over to snap a low POV shot! Imagine being able to work only 2 days a month. With This Course, I Know You Can! Imagine earning upwards of $300.00 an hour. With This Course, Yes, You Can! Imagine being able to enjoy work beyond anything you ever dreamed of. Yes... With This Course, YOU CAN! For over 20 years, I have worked as a wedding photographer. I call it work but realistically, it doesn't feel like work. For me, wedding photography feels like a blessing. The joy, happiness and memories I witness are all beyond measure. The fact I get paid to do this baffles my mind since I enjoy wedding photography so much, I would do it for free! But, I'm grateful I don't have to shoot wedding for free, because my clients are glad to pay me hundreds or thousands of dollars to do something I really enjoy. Other students could never get exposure just right, too often forgetting about their cameras' automatic settings which comes in handy in a pinch. For some reason, a large number of my students struggled with punctuality at weddings. Being on time is NOT an option in this business! Some Of My Least Talented Students Now Earn More Money Than Me! You would probably be blown away if you saw how bad some of my students' work is. Still they prosper! I keep asking myself "how could they get it so wrong yet make so much money? What's shocking about this is most of them are tremendously successful wedding photographers today because of A) the training I provided, B) the knowledge contained in this wedding photography course and C) their determination to succeed even though they lack talent. This is valuable to you because their success is broken down in 14 modules in this multimedia, interactive course, which provides a detailed wedding photography business plan certain to help you maximize your earning potential. But first you have to successfully complete this unique interactive wedding photography course for yourself. I have created the ultimate online wedding photography course for you to complete at home, at the office or even on vacation! The steps and assignments in this course can be completed from anywhere in the world, all you need is your DSLR camera, a tripod and a computer, tablet or smart phone connected to the internet. You could of course try your hand at wedding photography with no instruction, tips or advice from professionals and just "wing it." 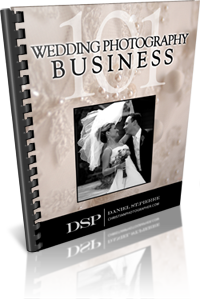 My proven system will teach you how to create your wedding photography business typically within 1 day. In my proprietary wedding photography course, I also share valuable insight that will help you capture a chunk of the local market -- Instantly! Within 14 days or less, you will be on your way to a successful wedding photography career using tools and resources that were only available to my local students -- UNTIL NOW!!! No other home study program on the market goes into the level of depth and detail that this course does. I GUARANTEE IT!!! Are you curious to find out what the greatest part of this home study course is? 1-ON-1 WEDDING PHOTOGRAPHY BUSINESS MENTORING IS INCLUDED!!! To my knowledge, no other course in the world offers a quality, professional 1-on-1 mentoring program. Every single course out there that I've seen deliver cookie cutter online courses that feature an endless refuse of information about wedding photography, poses, artistic hoopla, blah blah... None of which will help you with the most important aspect of the wedding photography business: How to Get Clients! MY FAIL-PROOF SYSTEM DELIVERS PROSPECTS, LEADS & CLIENTS INSTANTLY! Using my wedding photography business model backed by 1-on-1 coaching, YOU choose how much business you want to handle, as little or as much as you like! Because you choose how many weddings you want to cover, you might opt to take summers off like I do. Tell me, who likes to work on blistering hot summer days anyway? Or, you will be able to take winters off if you don't like cold weather! God willing, it'll be up to you! IT�S REALLY UP TO YOU! WORK A LITTLE . . . OR A LOT!!! Like me, most my former students prefer working every other weekend making certain to balance work and play. One of the greatest things about wedding photography is, YOU get to choose the people you want to work with. In most cases I don't get to meet both the bride and groom before they hire me to photograph their wedding. But those that do request a meeting in person, they don't realize they are being interviewed as well! Remember, it's YOUR business and as a creative artist (or an educated one via this course), it's entirely up to YOU to accept or refuse gigs. "I never imagined my wedding photography business would be so successful in such a competitive market. I live in Orlando, FL where it seems there are thousands of wedding photographers. I started out with limited expectations working 4-5 weddings a year. After an 18 month dry spell in 2009 I decided to take Daniel's wedding photography course. 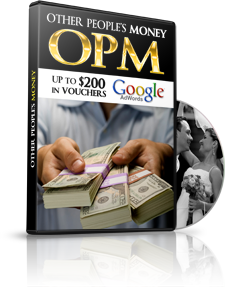 Within 5 days of signing-up to this course I got 3 weddings together worth over $5,400.00. More importantly, I was working again. Daniel's system is so simple I feel silly for not thinking of it myself. Then again he makes everything easy. I think of Daniel as the Michael Jordan of wedding photography. I am blessed to have found him and his online course." A PROVEN SYSTEM MEANS PROVEN RESULTS! This course is a result of over 20 years of image making for clients in the United-States, Canada, Europe and Africa. I share the knowledge I acquired over the past 20 years as part of the fulfillment of God's mission for my life to teach, to give to others just as my Lord Jesus Christ did, with His life. To tell you a little more about myself, I was born in Montreal, Canada and moved to California in 2000 where I was born again by faith in Christ while visiting Saddleback Church in Irvine, CA. I lived in Orange County for a short while where I furthered my career as a wedding photographer and digital artist. 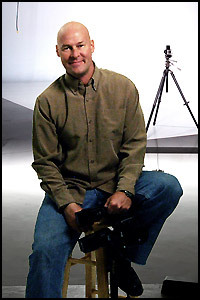 In 2003, I relocated to Florida where I was trained by Disney Photo Imaging, which fueled my desire to teach and give back. Today, I continue to operate my digital studio, living the American dream thanks to my successful wedding photography business. This online wedding photography course was suggested by one of my local students. Thanks to my leadership and teaching skills, this course is a natural evolution of my careers as a photographer and life coach. WHAT'S INCLUDED IN THIS EXTRAORDINARY ONLINE WEDDING PHOTOGTAPHY COURSE? 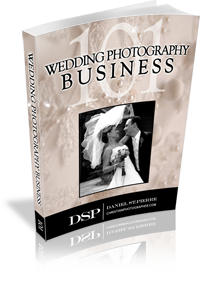 My 180 page Wedding Photography Business Course workbook in digital PDF format, featuring my Award Winning wedding photography. My High Resolution 112 page full color wedding photography checklist in digital PDF format, featuring visual photographic examples of each scene, pose or setting. This exclusive work, titled "Weddings Illustrated" walks you through my Check List in a collections of sequential photos. This work book is best viewed on a computer or mobile device. Alternatively the workbook can be printed. 16 Exclusive Training videos teaching you exactly how to Setup and Promote your Wedding Photography Business for an instant flow of prospects and/or clients. All Training Videos are available via Streaming Flash, or Instant Download via full resolution MOV, WMV or M4V files. Watch these videos on a computer (Mac or PC), iPhone/iPad or Android device. Direct Access to Me as your wedding photography mentor & coach for up to 1 Year (via Skype, Phone, SMS or E-mail). This interactive service is invaluable to your success and unique to this wedding photography course. Included in your Wedding Photography Business Course is up to 2 hours of consulting, mentoring and coaching conveniently spread over a 12 month period. But what's a wedding photography business course without Bonuses right? 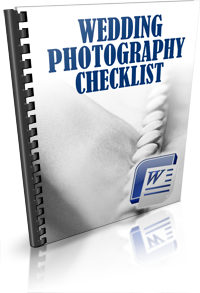 My proprietary wedding photography checklist in Microsoft Word format featuring over 130 must have photos (Retail Value $27.00). Use this Exclusive List with Your Clients and never miss a shot! NEW for 2019: Private Label Rights Included - Resell this Wedding Photographer Checklist for PROFIT! I testify to the undeniable truth, under oath and before God, that I personally sold and currently Sell this Wedding Photography Check List on various web sites for as much as $50.00 each!!! Obtain Legal Rights to your photos using my proprietary Model Release, thereby transferring ALL printing, copying, editing and selling rights to you as the legal entitled owner of specified photos/sessions. My Rate Card will help you "Hit the Ground Running!" No need to spend hours researching competitive fees, simply download my Rate Card and use instantly. 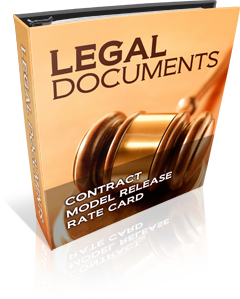 These legal documents, delivered in Microsoft Word format took me years to perfect, today they're ALL yours as part of this exclusive course (Retail Value $79.00). 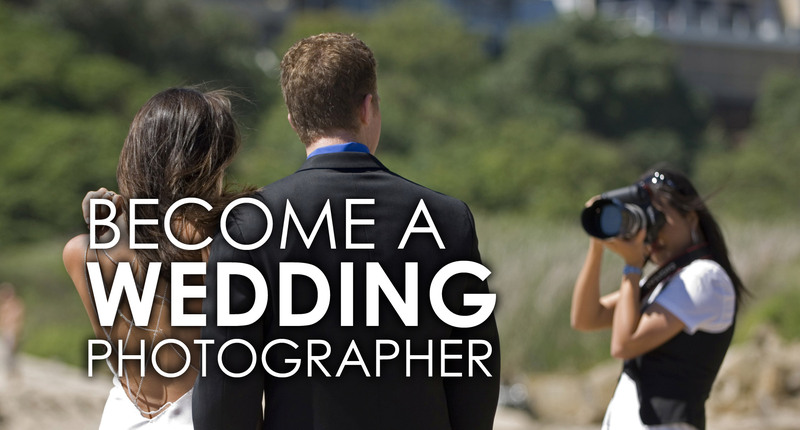 This wedding photography course package with Bonuses is worth well over $1,400.00. But what's it all worth in reality? You can't ask a workbook or video a question! That's why in 2019, I finally included mentoring and coaching as part of the web's most comprehensive wedding photography business course available. What are people saying about the EXCLUSIVE mentoring by a seasoned professional? 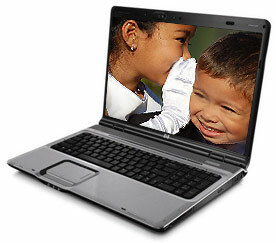 I have over 4 Gigabytes of video testimonials for you to browse through since 1995. I chose the testimonials below to show you the diversity of my clients. I feel strongly these testimonials truly reflect the essence of my online wedding photography course, which is not at all meant to convince you, rather the video testimonials below are intended to disqualify anyone looking to get rich quick without any time investment. Still not convinced you will get more value in this course than any other less comprehensive online courses? Will shares that this course provided him with everything he needed to go out and start his own wedding photography business in Canada. What Will didn't plan on was the fulfillment he'd receive from his Canadian based wedding photography business. Will shared the material in the course with his daughter in Toronto, in hope she too will get into the wedding photography business to become debt free like her dad. "The Best Online Wedding Photography Course!" Maggie was frustrated with other wedding photography courses, then she found this web site and ordered the course with Mentoring & Coaching. This was her 3rd attempt at taking an online course. The other courses left Maggie frustrated and feeling robbed of her money. She admits the best part of this course is the coaching provided by yours truly. "This Course Teaches You How To Get Gigs!" "Living My Dream Working 3 Days a Week!" Peter started out a store manager in the UK, then during a soccer game, clicked a Facebook link that changed his life... Not all students will prosper beyond measure in their wedding photography business, but those who apply themselves and the techniques in this course are far more likely to succeed as a wedding photographer, a highly competitive market typically reserved for the very wealthy. Deena has experienced frustration with other online photography courses, but she gives this exclusive wedding photographer business course TWO THUMBS-UP! She points out how this course is different then other, less comprehensive courses because it offers a 100% Money Back Guarantee! CURIOUS TO FIND OUT MORE ABOUT MY EXCLUSIVE TRAINING VIDEOS? The most powerful benefits of this online course can be found in my Exclusive Training Videos. 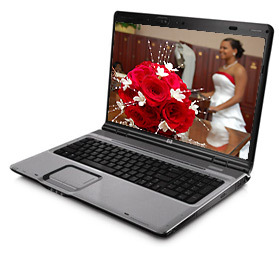 Each video contains gems about the wedding photography business you cannot find anywhere else. Each video can be watched in real time online via streaming Flash, or downloaded to your computer/device for later/offline viewing. 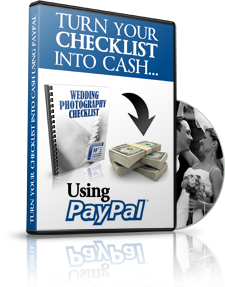 Begin your journey to Prosperity by "flipping" your new Wedding Photography Checklist for instant profits! Since you will soon own the rights to this wedding preparation masterpiece, do with it as you please; Sell it or give it away to your clients as an incentive, it's up to you! In this video, you will learn how to generate significant revenue from a simple Word Document sold dozens of times to raving customers using a Free Paypal account (or other merchant account). One of the most powerful yet cost effective means of advertising your wedding photography business: Other People's Money! This lesson teaches you exactly how to research & capitalize on promotional offers made available by companies looking to earn your business. Discover how to turn Google's generosity into Prosperity... for God's glory! This video showcases 100% legal and entirely ethical techniques used to promote your wedding photography business absolutely FREE relying on OPM. Model Releases - How To Use Them, And When! Model releases are essential legal documents meant to release the rights to photos (or entire events) to photographers, for sharing, copying, printing and more importantly... SELLING! Never again will you require permission from your subjects to use one of your photographs since you will own unlimited, unrestricted rights to all photographs mentioned in your model releases. This video teaches you about the importance of Model Releases, and also takes you through your New Model Release form's specific fields to ensure accuracy. 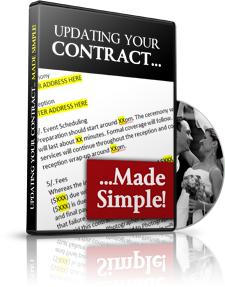 Updating Your Contract... Made Simple! Your wedding photography contract may very well be the only evidence you'll need to stay out of court... or out of JAIL! 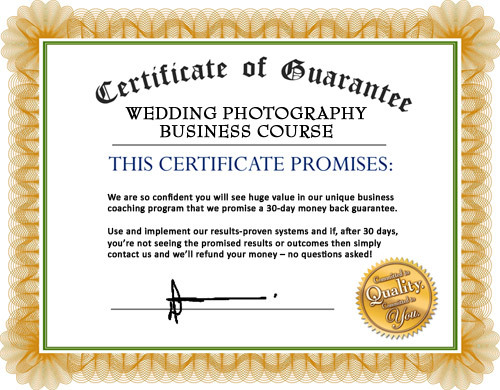 I spent over 15 years developing what I believe is the most comprehensive wedding photography contract in the world. Today, this proprietary contract is yours as part of this once in a lifetime offer. 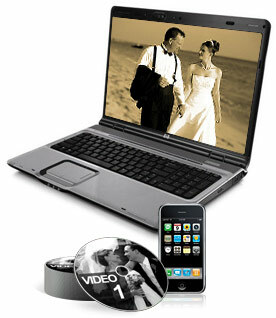 Thanks to this training video, updating your wedding photography contract is easy as 1-2-3. Simply follow the instructions in this video to customize this mandatory document. To maximize your wedding photography business' Return on Investment (ROI), successful photographers must take full advantage of automated tools designed to maximize productivity. 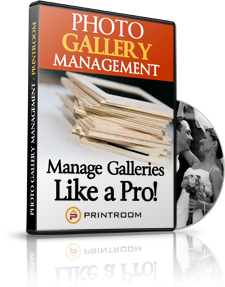 Making use of Printroom's Free Pro Studio Manager software, you will learn how to create, upload and share Online Photo Galleries with your clients, their friends and families. Online Photo Galleries provide your clients and their contacts with a web based photo printing service (photo lab) by which your customers can order prints, posters, coffee mugs, calendars and more... All for PROFIT! Did you know most successful web sites on the Internet today use XML Sitemaps to interact with search engine spiders? No worries, you're covered with this exclusive Sitemap video! What are Sitemaps, and what are they good for? 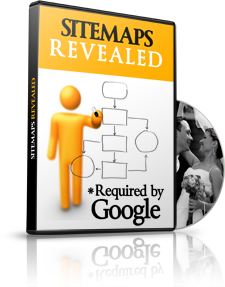 Sitemaps are encoded maps of the link structure within a website. Without properly encoded Sitemaps files, Google, Yahoo and Bing search engine spiders will have a hard time indexing your wedding photography web site. This video teaches you the importance of Sitemaps, and guides you though a typical setup process certain to help you maximize your search engine exposure via the strategic use of Sitemaps. 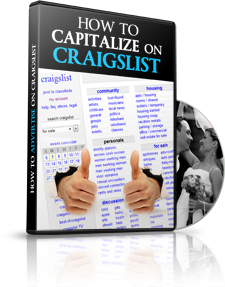 This video teaches you how to take advantage of Craigslist, the world's most popular Free online classified service. Thanks to the valuable knowledge you'll acquire in this Craigslist video, you'll be equipped to avoid making costly mistakes when posting free online classified ads. When it comes to advertising online, free doesn't always have to mean cheap. When handled intelligently, Craigslist advertising does reap a harvest in tune with A) Your Market, B) Your Audience and more importantly, C) God's Will. I Built My Entire Business From Nothing And I am Now Living The American Dream! Because this wedding photography course includes Exclusive 1-on-1 mentoring, I can only cater to 50 students or so per year, or about 1 student per major US State or Canadian province, plus a couple dozen in the UK, EU and AU. I will not mentor 2 photographers in the same market, because of this all new students must be prepared to have the mentoring aspect of this offer revoked and refunded in lieu of such occurrences. In such cases, up to 90% of your tuition fee will be refunded accordingly, as a nominal fee will be retained to cover for the course content you will use, to your complete, unquestioned satisfaction. Signing-up/Enrolling Provides Instant Access to Your Course Material. While access to your course content is indeed IMMEDIATE after enrollment, the mentoring aspect of this proprietary wedding photography business course is restricted to students who successfully completed the 1-on-1 interview. Remember, since every new student requires a phone or Skype interview to complete registration, your course's mentoring will not start right away. Do consider this the only setback involved in this exclusive interactive course featuring coaching and mentoring by yours truly, Daniel St.Pierre, a leading authority in wedding photojournalism since 1995. Your Wedding Photography Business Course come with a 100% Satisfaction Guarantee. you will be refunded you entire purchase price. This wedding photography course has no equal. I know this because I created this program based on my own method, and basically on my life. 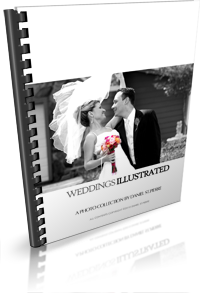 This interactive program contains Proprietary information, and even a cash generating Exclusive wedding photography checklist for you to resell for profits. Plus this interactive course provides you with Industry Secrets, Invaluable Tips, Exclusive Wedding Photography Business Training Videos and Mentoring from someone who's Thriving in our industry. "Absolutely the best online wedding photography course out there. This was my third attempt at taking an online course. The other courses left me frustrated and feeling robbed of my money. The best part of this course is the coaching provided by Daniel." Maggie D.
"Thank you Daniel for such an amazing wedding photography course and devoted mentoring. I could not have done this without you. Allan and I thank God for you and your teaching." Kathleen G.
"You are God sent. Great course packed with valuable tools. Thank you Daniel!" Franky P.
"Exactly what the web site said, 14 days of pure wedding photography business intensive packed with valuable knowledge I could not have found elsewhere. Thank you Daniel for such a comprehensive and extensive course!" Brandy H.
The video above provides you with KNOWLEDGE that's worth more than the price of the course without mentoring... Both Google Adwords and Facebook Ads want your business, so they'll gladly give you up to $200.00 in advertising credits to get your wedding photography business started. This is a FACT! With this in mind, if you consider both Google Adwords and MSN Adcenter credits totaling well over $100.00, this course (excluding mentoring & coaching) could be yours FREE!! Compare this "knowledge based" INTERACTIVE course to other "Static" courses and you will quickly come to the conclusion this is the BEST wedding photography course in the world. SPECIAL OFFER - INSTANT ACCESS - START THIS COURSE WITH NO MENTORING WITHIN MINUTES FOR UNDER $50!!! If You Are Not Interested in the Powerful Coaching Aspect of This Course, Order ALL the Course Material, Online Modules & Videos Now for ONLY $47.00. Same Money Back Guarantee - No Mentoring or Coaching. Servant of the Lord Jesus, the risen Christ. Note that no computer equipment, including notebook computers shown herein, or other computer devices mentioned are included in this course. Be advised all products and course material, are delivered electronically and/or available for download in digital format only, unless cited otherwise. Graphics and images used herein are for display use only.